The name of Ardabil came from a Zoroastrian name of “Artavil” (mentioned in Avesta) which means a holy place. Ardabil’s famous natural region is the Sabalan mountains. The majority of Ardebil province’s population is composed of Azerbaijanis. The weather in Ardabil province varies drastically. The city of Ardabil has very cold winters (-23C degrees) and very pleasant summers. Bilesavar and Parsabad have hot summers and warm winters. But generally this province is considered the coldest province in Iran though large parts of the province are green and forested. The average annual rainfall is about 400 mm. The mineral springs are numerous, among which the hot springs of Sarein in Ardebil and the mineral springs of Khalkhal, Sardabeh and Borjlu are of more importance. The most important site of Ardabil is the Shrine of Sheikh Safi, an important Sufi leader of the 13th and 14th centuries, and an important contributor to Iran becoming a Shi’a state. Unfortunately many sections of the shrine were destroyed by the Russians in the 19th century. 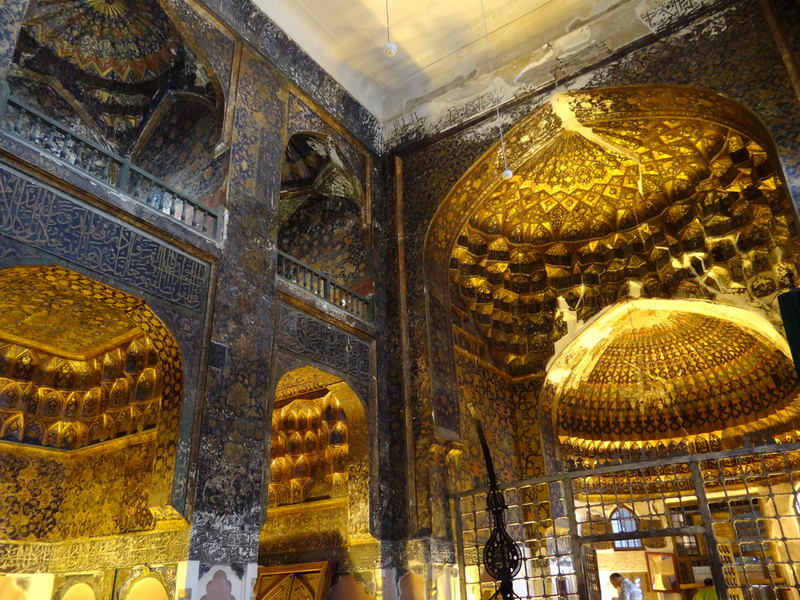 Another landmark is the tomb of Ismail 1, the founder of the Safavid dynasty.